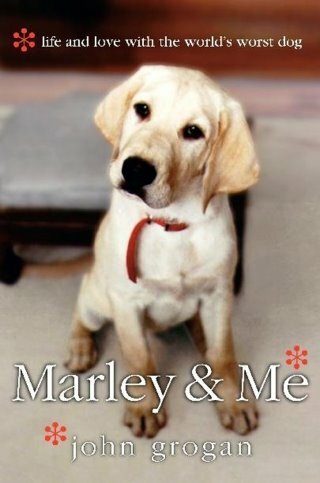 Marley & Me by John Grogan…. I have been meaning to read this book and since the movie is coming out Christmas Day I decided now or never! And let me tell you.. young, old, male, female this book is wonderful. The jest is it is a memoir of the life of the Grogans told thru Marley and his stages of life. It is soooo funny, heart warming but most of all touching. This book really touched me and it is a 5-tissue read at the end. Not in a tragic way but in a utterly touching way that you must have a heart of stone if you don’t shed a tear! I give this book 4 1/2 stars out of 5! I can not wait for the movie to come out Christmas Day, it looks sooo funny but just so you know you might shed a tear or two in the theatre so be prepared!!! !